Why do developers choose Kafka? Why do you like Kafka? What are the cons of using Kafka? 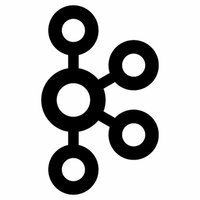 What tools integrate with Kafka? What are some alternatives to Redis and Kafka? 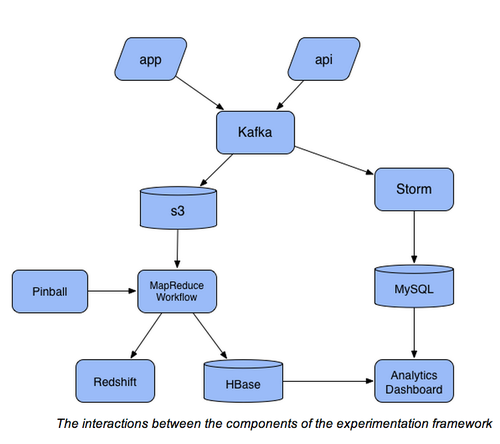 Front-end messages are logged to Kafka by our API and application servers. We have batch processing (on the middle-left) and real-time processing (on the middle-right) pipelines to process the experiment data. For batch processing, after daily raw log get to s3, we start our nightly experiment workflow to figure out experiment users groups and experiment metrics. We use our in-house workflow management system Pinball to manage the dependencies of all these MapReduce jobs. Building out real-time streaming server to present data insights to Coolfront Mobile customers and internal sales and marketing teams. We are using Kafka as a message queue to process our widget logs. Used as a integration middleware by messaging interchanging.